Texas Secretary of State Rolando Pablos' office fixed the "server issue" after application link was broken for much of Saturday. Voters must register by Tuesday for November elections. *Editor's note: This story has been updated to include comments from state Republican Party Chairman James Dickey and reflect that the online form is again available. A link to the voter registration application was down on the Texas secretary of state's website for much of Saturday, days before the deadline to register for November elections. The secretary of state's office late Saturday restored access to the digital form, which can be filled out online but still must be printed and mailed. For several hours Saturday, the link was broken on the office's website. A spokesman for the office said there was a "server issue." The office also tweeted an alternative link to the form. Texans who want to register to vote should fill out the form, print it, sign it and mail it to the voter registrar in the county where they live. On Saturday afternoon, the Texas Democratic Party called the situation "unacceptable." "Voting should be easy and accessible for everyone," party spokesman Josh Stewart said in a statement. "With three days left to register to vote, Texans deserve better." James Dickey, who chairs the Republican Party of Texas, acknowledged the issue and encouraged people to register to vote at a local GOP office. 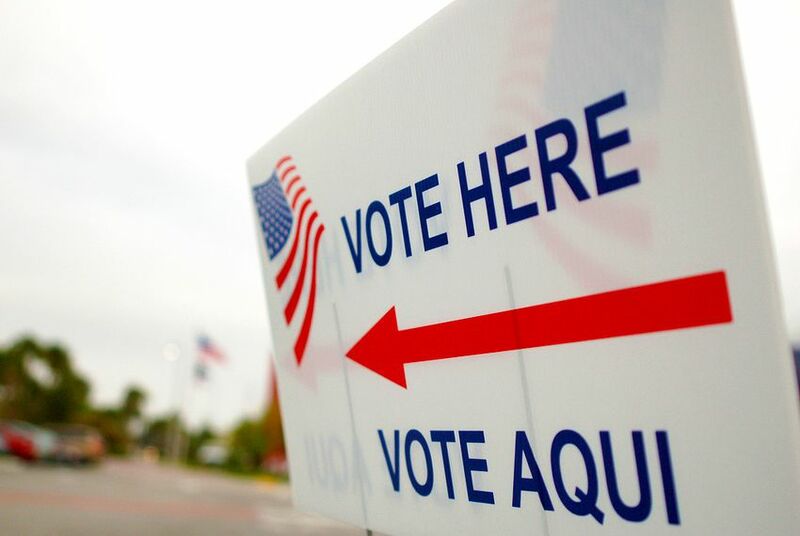 "This is one of the most important elections in recent history, and it's crucial that every Texan exercise their Constitutional rights," Dickey said. The website snafu comes months after a federal judge found that Texas violated federal law by failing to register residents to vote when they updated their drivers’ license information online. The judge ordered Texas to implement online voter registration for drivers, but the New Orleans-based 5th U.S. Circuit Court of Appeals in May put the ruling and order on hold during the appeals process. Disclosure: The Texas secretary of state's office has been a financial supporter of The Texas Tribune, a nonprofit, nonpartisan news organization that is funded in part by donations from members, foundations and corporate sponsors. Financial supporters play no role in the Tribune's journalism. Find a complete list of them here.